We're trying to bring the Good Ship CCPS out of the Miscellany and back into our true mandate, so we're grabbing the one CD off our desk that seems to always be in reach. 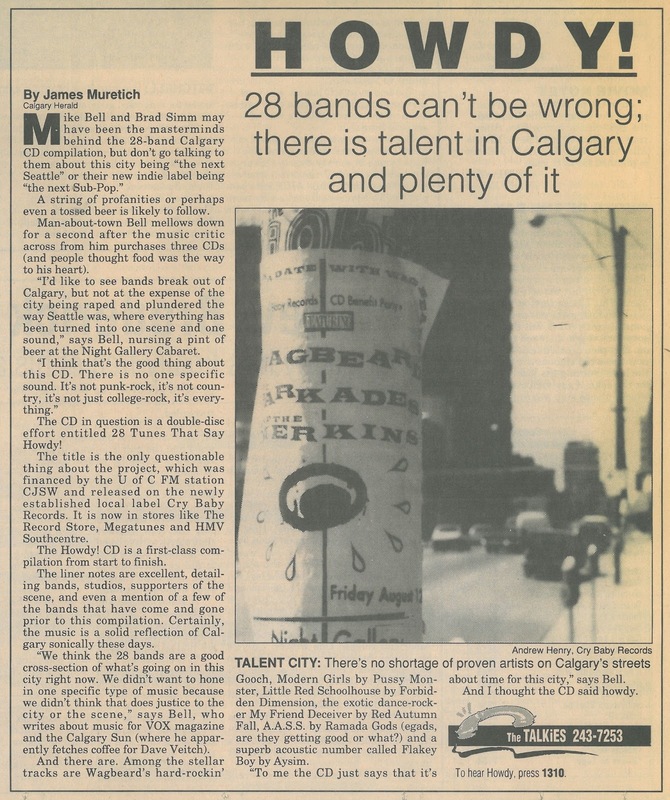 For us, this CD captures so much of the mid-90's Calgary scene, good (with the exception being the Primrods) and bad (the exception there being Brass). 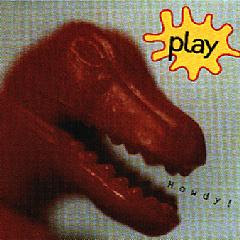 This CD was put out by CJSW in partnership with the Brad Simm/Mike Bell joint venture that was Cry Baby Records. This CD would have come out at a time when most bands could barely afford to put out their own discs, so it was a good way of getting the tunes out in a reasonable format. This is perhaps one of the more diverse compilation CDs from the era - certainly moreso than the Bloodback comps or Oooh, I'm So Pretty. There are some interesting bits of history on here. Much of this was recorded at Jeff Burns' basement studio, as his was probably the most accessible (ie cheapest) digital studio in town at the time. We just noticed, after coveting this thing for 15 years, that it was mastered by Tona Ohama. Lola, the Brad Simm, er, vehicle on here, features Leslie Feist on backing vocals. The Manhattan Jump Blues Revue morphed into the Dino Martinis. And the late, great James Muretich plays drums with the Walking Dead. Over the past year and half or so, we've been pretty pleased to find tapes from most of our favourites covered on here. Still MIA are tapes from Rogue Pope, G.A.S.P. and Maud.